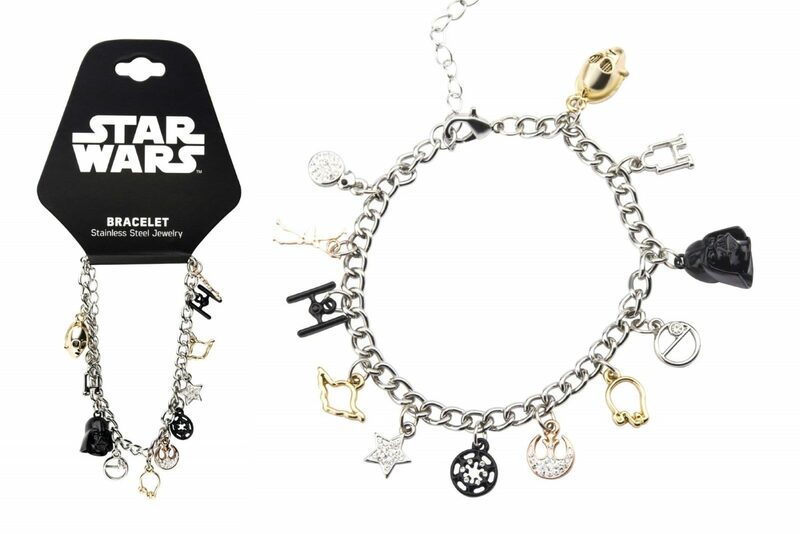 This fabulous Star Wars multi charm bracelet is available on Amazon. 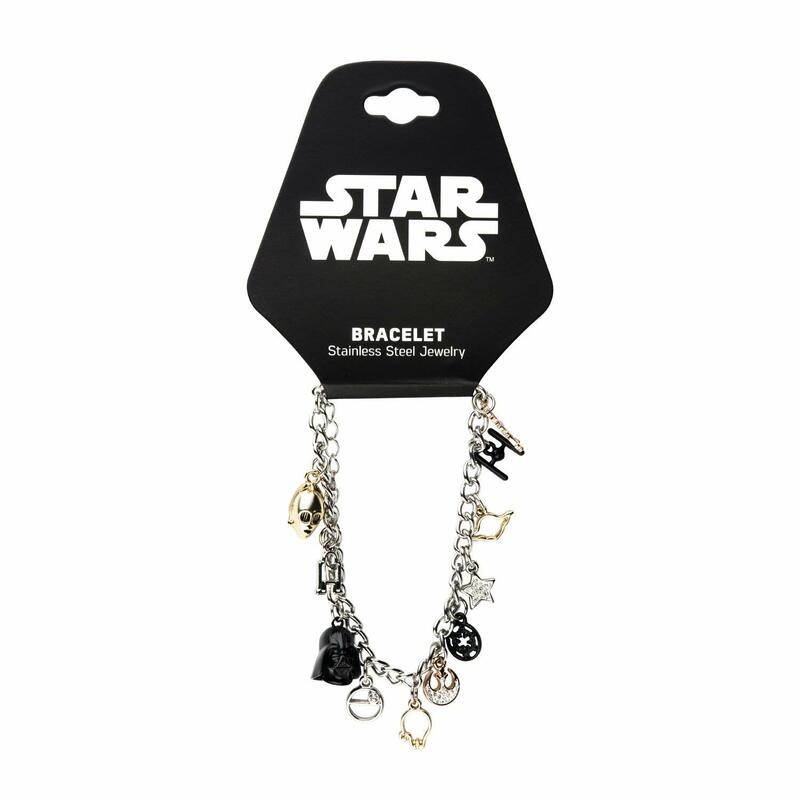 Made from Stainless Steel, the chain bracelet features twelve hanging charms featuring classic Star Wars characters and elements. The charms feature a mix of colours and styles, and some are also accented with clear rhinestone gems. The 7.5″ bracelet is adjustable, with a ‘lobster’ style clasp and 2″ length of wider-link adjustment chain. 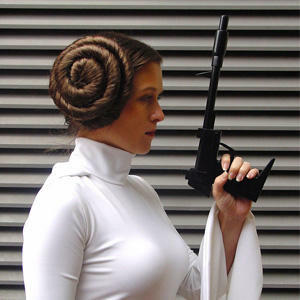 The charm designs include C-3PO, R2-D2, Darth Vader, Death Star, Millennium Falcon, Rebel Alliance symbol, Galactic Empire symbol, a star, Yoda, TIE fighter, X-Wing fighter, and BB-8. The bracelet is priced at US$12.30 to US$29.99 each – shipping rates/policies vary by Amazon seller (overseas customers can purchase via a mail forwarding service).